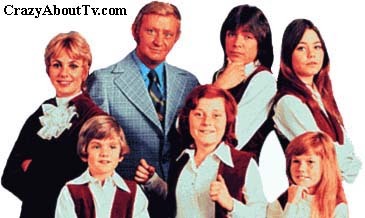 The Partridge Family TV show was a 30 minute comedy series on ABC about a widowed mother of five kids who formed a pop music group together in order to pay the bills. Their agent who wasn't crazy about kids and would typically get involved in some aggravating situation with them. Besides the musical aspect of the series, it also involved the usual problems and solutions involving a single mom raising kids on her own. The Partridge Family created a "spin-off" series titled, "Getting Together". The Partridge Family would probably have continued for several more than its four season on the air except for the fact that David Cassidy would not renew his contract for a fifth season. David had become a teenage hearthrob singing megastar by that time. His worldwide concert tours and recording sessions were wearing him out when combined with the schedule involved in producing a weekly TV show. Something had to go. David was getting paid $50,000 for a concert performance and only $6,000 per episode for his role on The Partridge Family. Believe it or not, in the beginning he was only being paid $600 per episode! Most viewers thought that the other kids on the Partridge Family also played their own instruments and many sent letters asking why the entire group didn't go on tour. David Cassidy was the only one who played his own instrument. The other kids were each given a chance to go into a recording studio and prove that they were proficient enough to play their own instruments on the show but they all failed the test. Shirley Jones was originally the only member of the cast who was supposed to do their own singing but when they tested David Cassidy, his voice passed the test! The real-life musical family group, "The Cowsills" were the inspiration for the Partridge Family. They were also considered for the starring roles on the show, but ABC felt that the series needed a proven talent to head the series though and decided to hire Shirley Jones in the role as their mother. When the Cowsills heard that their mother, "Barbara Cowsill" was not wanted for the show, the kids refused to join the cast. That was probably best because the producers also felt that the Cowsill kids were a bit too old for the dynamic they were looking for. The outside shots of the Partridge Family's home was the same as the one used on "Bewitched", "The Donna Reed Show", and "Til Death". Shirley Jones was David Cassidy's mom on the show and was his step-mother in real life! David didn't even find out that Shirley had been cast to star on the series until after he was offered the role as Keith Partridge! By: "Wes Farrell and Danny Janssen"
Thank you for visiting our Partridge Family TV show page!